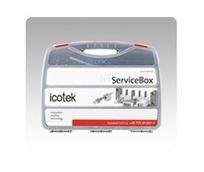 2 different types of service boxes are available: one is a KT service box for cable inserts and another one is the EMC service box for SKL shield clamps & accessories. Convenient - everything readily available! Retrofitting and maintenance can be carried out easily and quickly.